Hey again! I’m back with a couple more story elements posters. These are made to match the Character poster shared last night. 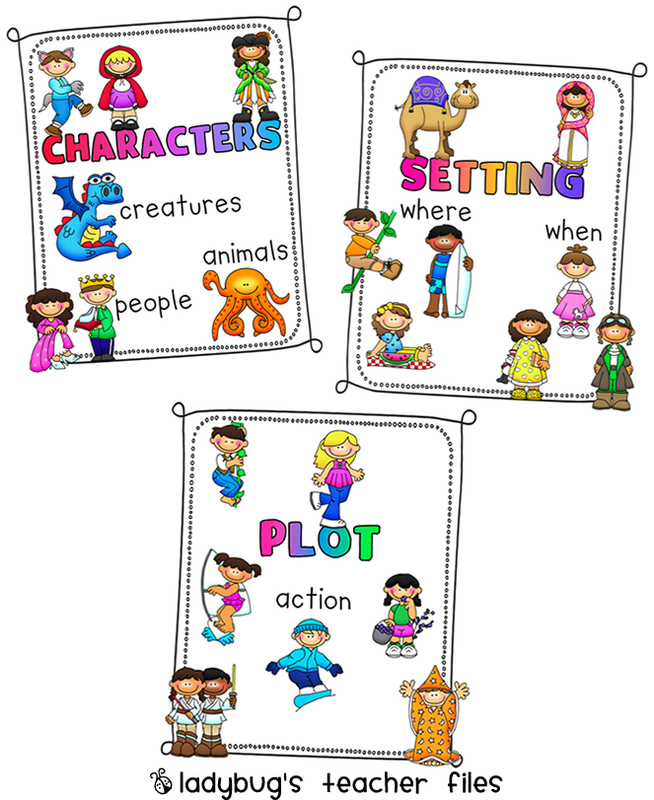 I am hoping to do a lot more in the way of Reader’s Workshop visuals as the year goes on. Pat–love the idea for strategy posters and will definitely be considering that in the future! For now, these are to serve as simple visual reminders to help out my newcomer students who have just joined our class. for reading? Thanks so much for stopping by! Plus it has great stuff for me too! Love the website AND the posters! So cute! I love these posters! But I can't save them to my Google docs. Can anyone help me figure out why? Thanks! Thanks for sharing these!! They are great! I love the font that you use. That are the names of them? I love the posters! Thank you for sharing! These look amazing! Thank you for sharing all of your amazing work! Kristen, you continue to amaze me! We are working on plot right now, so I put 'plot' in Google Reader and this post came up. I'm laminating them and placing them in my 'Good Readers' notebooks. We are in the computer lab right now and the students are going on the site. I love how it gives them their answer in red and the correct in green, and then has them review the section by having the blue link! Thanks for sharing…you make me a better teacher! What a great website. I haven't heard of this one before.